Part of Bentleys development program had been to create prototypes, so called Experimental Cars, not very different from any motor car manufacturers day to day business. In Ian Rimmers book Rolls-Royce and Bentley Experimental Cars descriptions of various prototypes finished to different stages of completion can be studied on almost 200 pages. 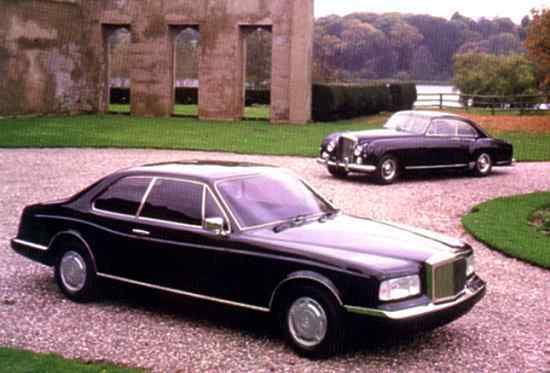 However the year 1985 was significant in so far as for the first time Bentley decided to show an Experimental Car to the public with the intention of assessing general reaction and opinions from prospective customers. 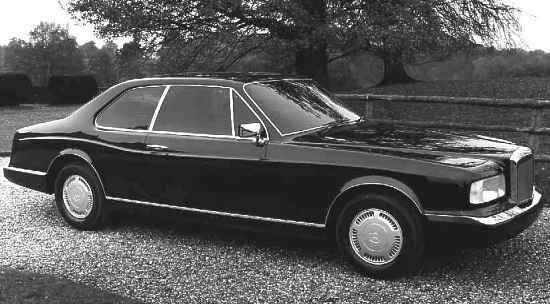 Bentley had commissioned International Automotive Design in Worthing (GB) to build a concept to design by John Heffernan and Ken Greenley. The result was Project 90, full size styling mock-up of a two door coupe, i.e. neither engine nor running gear were fitted. Rolls-Royce received most favourable comments and their exhibit was considered to give a glimpse of the future for Bentley motor cars. To a certain degree Project 90 has been a milestone for the 1991 introduction of the Bentley Continental R.